The National Garden of Athens is a public park in the center of the city. 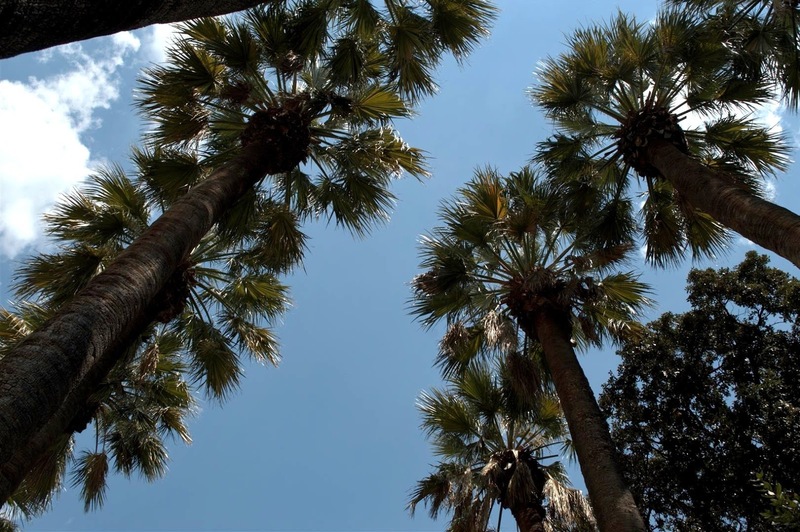 The main entrance is marked by 12 palm trees that were planted upon the order of the Greek princes Amalie Marie Friederike (1836 – 1862). She was famous for her beauty in Greece and a fashion example for the Greek women. That’s why the street in front is called after her – Queen Amalia Avenue. 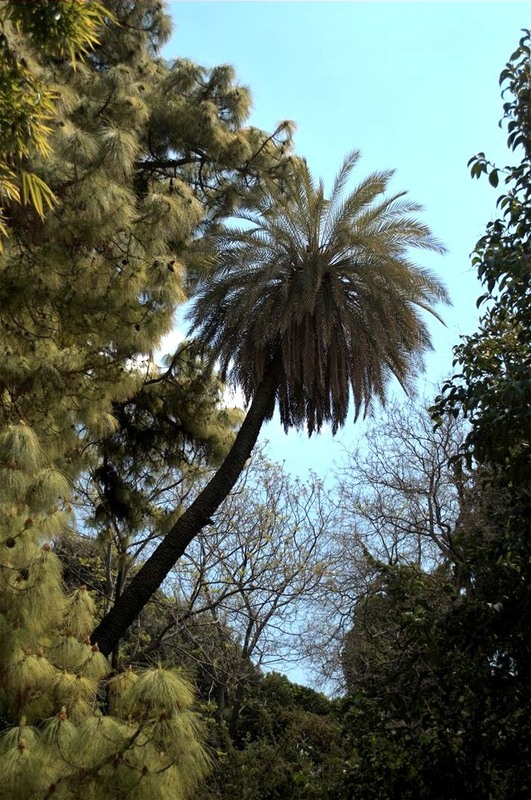 Located right behind the Hellenic Parliament, the garden is spread to the Zappeion. The National Garden, formerly known as the Royal Garden, was completed by 1840. Only the royal family was able to walk there. It was a project of the German agronomist, Friedrich Schmidt. Upon the request of Queen Amalia, he imported over 500 species of plants. Some of them didn’t survive the Mediterranean climate. 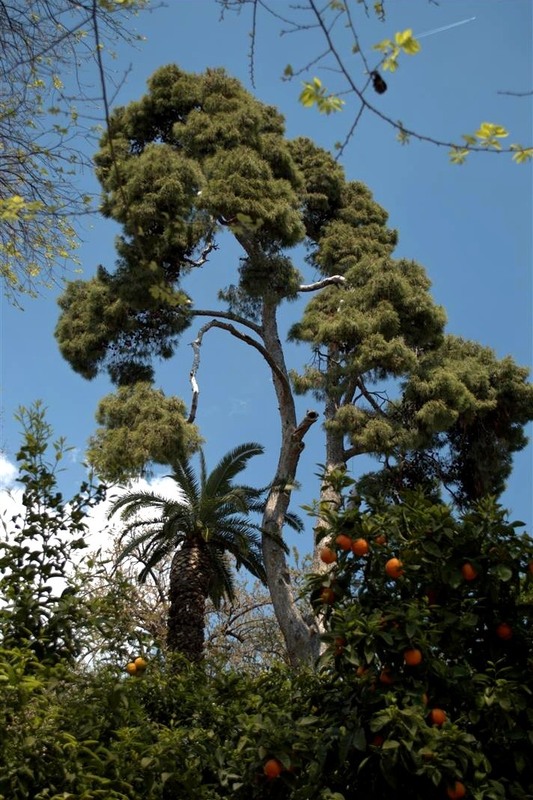 Eucalyptus trees, bushes, oleanders and carob trees, Australian pines, Chinese-trees-of-heaven, palm and orange trees are just part of the green environment. There are also six lakes with ducks, conservatory, children’s library and a café. The park was open to the public in 1975. Today it is accessible to visitors all day long and is free of cost. Opening hours – 6 AM – 9:30 PM. The lush greenery, colorful flowers and several species of birds make it an art oasis in the heart of the city. Oh, the place looks marvelous. No wonder why it's called National Garden. It's truly beautiful! I see an orange tree there, I was always dreaming to have such orange trees where I live, but the climatic conditions in Russia are not suitable for that. In Turkey I see a lot of citrus trees, though:) They are so gratifying to the eye! I went to Athens many times but I've never visited the national garden.. Great photos! 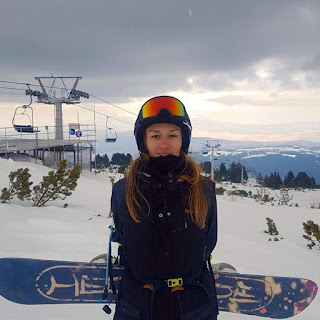 I've been totally loving your holiday posts Stanislava! This garden looks really beautiful! Somehow the sight of palm tress always makes me think of summer and tropical climates which I could use a dose of today as it's cold and rainy again in NYC. Have a wonderful week lovely! Loving these photos, this place is so nice!! I really like these palms. Successful week. Много красиво <3 Как искам и тук да е топло. Изглеждаш страхотно, Сани! those palm trees are majestic!